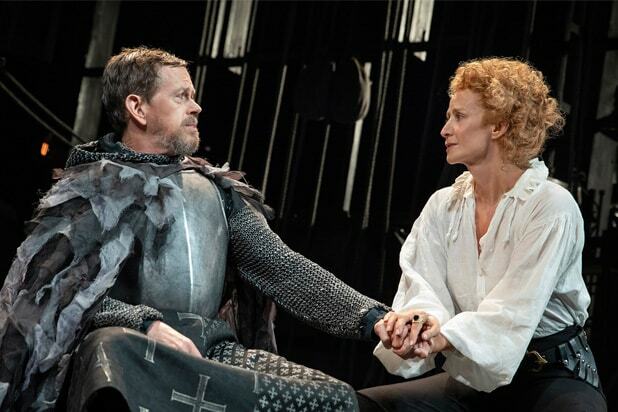 'Bernhardt/Hamlet' Broadway Review: Who's More Divine, the Bard or Janet McTeer? Theresa Rebeck knows how to tell a great story — or, at least, half a great story. In her new play, “Bernhardt/Hamlet,” which had its world premiere Tuesday at Roundabout’s American Airlines Theatre, the great half is the all-important second act. According to this prolific writer (NBC’s “Smash”), the acclaimed late-19th-century actress Sarah Bernhardt had only two choices back in 1899. She could star in yet another revival of “Camille,” which she considered a romantic fantasy for men, or she could play the supporting role of Gertrude in “Hamlet.” Instead, Bernhardt decided to be the first woman ever to play Hamlet. It appears that Rebeck has confused the dearth of good roles in today’s movies with an epoch that was a golden age for female performers, even if you don’t throw ballet and opera into the theater mix. That anachronism aside, Rebeck and her lead actress, Janet McTeer, present a fascinating Bernhardt, one who is possibly more “childishly egotistical” than she is talented. Or is her genius dependent on that awesome narcissism? Under Moritz von Stuelpnagel’s sumptuous direction and production (set and costume design by, respectively, Beowulf Boritt and Toni-Leslie James), Rebeck/McTeer’s approach the material ultimately delivers despite some problems in the first act. Many of those stem from the fact that playing Hamlet initially could be seen as another one of Divine Sarah’s many publicity stunts — we learn early on that she slept in coffins, kept exotic animals for pets and knew how to work the press. Rebeck never fails to put great wit into her character’s mouth, making sure that Bernhardt wins every argument against her male detractors, but she risks turning Bernhardt’s audacious endeavor into a mere caprice. That impression is reinforced by the almost bumbling troupe of actors that surround Bernhardt in her theater. Von Stuelpnagel goes for broad comic effects here, and Triney Sandoval and Aaron Costa Ganis, playing incompetent actors, consistently deliver them. Dylan Baker purposefully offers up a ridiculous ghost, only to reverse himself minutes later. Brittany Bradford presents a very innocuous Ophelia. In other words, their portrayals are designed not to eclipse a star who lavishes them with undeserved praise. What these actors do and what Bernhardt says about them is often hilarious, but it drains the drama. If Bernhardt isn’t taking her Hamlet seriously, why should we? Then there is the Bernhardt’s attitude toward the play itself. Cutting “Hamlet” is one thing. Everybody does that. This star demands much more. She tells her current lover, Edmond Rostand (Jason Butler Harner), to put aside his unfinished “Cyrano de Bergerac” so he can “rewrite” the Bard for her. It takes Rebeck a very long and loose first act to arrive at this crucial point. Until then, we’ve watched Bernhardt struggle in rehearsals to “find” the role — or, perhaps, find a way to bring Hamlet into her star’s orbit. Has Rebeck ever suffered such an inferiority complex regarding her own plays? Certainly Harner isn’t convincing when he says those lines. Harner is on surer footing when, in act two, Rostand takes up the painful, ego-crushing challenge of rewriting “Hamlet.” Rebeck must have imagined herself stuck with such a job. In that problematic first act, the scenes without Bernhardt/McTeer tend to be purely expository. Rostand’s encounters with Mucha and a male critic (Tony Carlin) don’t move the drama forward, and in between, we’re left with Bernhardt being funny but also very petulant. Rebeck wisely never lets her title character leave the stage in act two, except to show us an overextended excerpt from a fully staged “Cyrano,” which needs drastic cutting. That penultimate scene aside, something wonderful happens to McTeer’s grandly calculated performance in the second act. She grows the soul that Shaw found lacking in the real Bernhardt. McTeer’s Bernhardt continues to dominate with sparkling retorts. But in a couple of scenes that introduce new characters, the actress takes a step back to let others shine more brightly, if only for a few moments. Bernhardt’s son, Maurice (Nick Westrate), visits mom backstage to complain that the “Hamlet” project will ruin her. For the first time, Bernhardt takes the time to analyze another person’s motivations, and finds that Maurice is really worried about her depleting his inheritance. McTeer and Westrate handle this short exchange masterfully by never losing the subtext of their mutual love. Even more galvanizing is watching McTeer truly retreat when Rostand’s wife (Ito Aghayere) offers Bernhardt the gift of the unfinished “Cyrano.” It’s difficult to say what’s more shocking: Watching McTeer let another actor take the spotlight or her subsequent meltdown when she eviscerates Rostand for his creation of the Roxane character in a later scene. In an age where 80-minute skits masquerade as plays, critics need to praise the real thing; “Bernhardt/Hamlet” runs two and a half hours with intermission. I may be wrong about that first hour. Perhaps Rebeck is simply taking her time to fire up all cylinders before racing to the final curtain in splendid style. 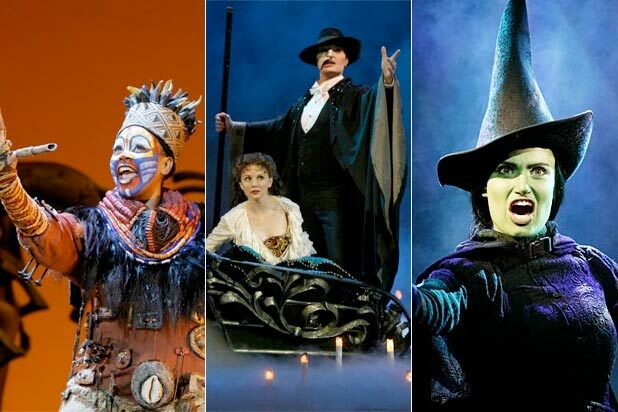 For an audience, that slow-burning act one might play better the second time around. “Bernhardt/Hamlet” deserves to be seen twice and revived often.